Keith Farrell who works as a surveyor for Northwards Housing has been awarded ‘Unsung Hero of the Year Award’ in this year’s Living The Values Awards 2016. Having been nominated for the second time, Keith was chosen as the winner of this year’s award against his fellow nominees, Craig Broadhurst Finance Manager, Michael Franklin Finance Officer and Ryan Lee, Service Development Officer. 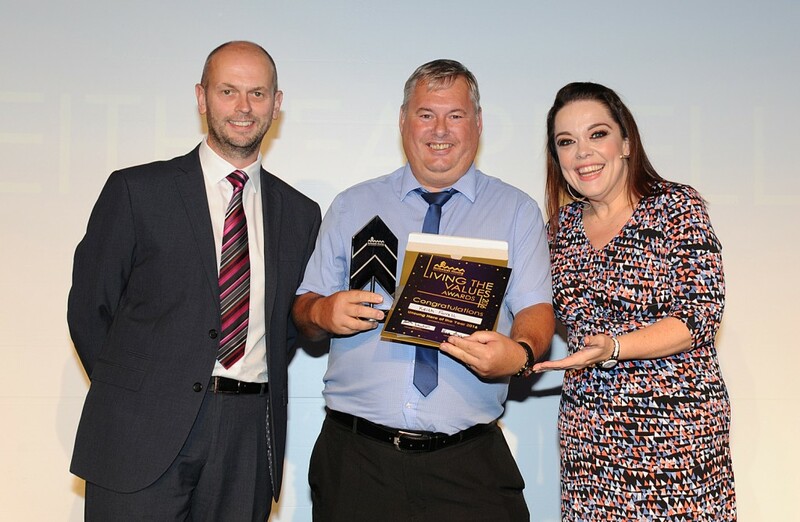 Sponsored by Wrekin Windows, the award was presented this year by actress and presenter Lisa Riley, best known for her role as Mandy Dingle in ‘Emmerdale’ and also as the host of ‘You’ve Been Framed’. The Living the Values Awards are awarded to individuals or teams that have performed exceptionally well during challenging times. Keith was put forward for being so popular with tenants at AVRO Hollows, who love him so much that they asked for him to be their dedicated surveyor.